Fishing in Lake Oviachic is a dream come true. 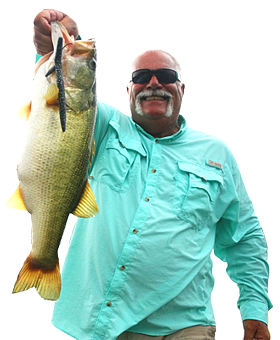 Gabino's Outdoor Adventures also offers largemouth bass fishing trips on Mexico's best lake - Oviachic - located just 17 miles from our headquarters in Ciudad Obregon. All trips are fully outfitted, with knowledgeable English-speaking guides, new 21-foot boats with 200 to 300-horse power motors, depth/fish finder, trolling motor, etc. 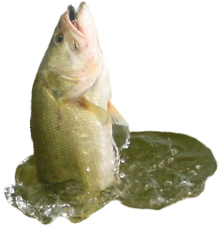 February, March, April and May are the best months with pairs of anglers catching anywhere from 20 to 4o two - to twelve - pound bass a day. Fishing days can be added to any bird hunting trip, but of course with fishing this good, many sportsmen come just for the great bass action. Your personal guides will take you out in fast, well-built bass boats and because they know the Lake, they will put you on the fish. And, don't worry; all our guides know enough "fishing" English to make easy to communicate. Bring your favorite tackle or we can provide some for you. Because this is a catch and release lake, be sure to bring your camera - still or video.